We continue our series on NASBA’s committees with a look at the Communications Committee. The Communications Committee’s charge is to promote effective and efficient communication among boards of accountancy, NASBA and their respective stakeholders. To accomplish these goals, the Committee is working on a number of projects, including a Communications Guide for boards of accountancy. “The Communications Guide will be a valuable tool with templates and real life examples boards can use when communicating to their licensees, candidates, legislatures and the public they serve,” said Jeff Chickering, Communications Committee Chair. The guide will assist boards of accountancy with various types of communications outreach, including public service announcements, press releases, newsletters/eNewsletters, letters to legislators and articles promoting careers in accounting. The Committee continues to focus its efforts to educate boards on social media implementation and outreach initiatives. Currently, 17 boards of accountancy use social media including Facebook, LinkedIn and Twitter to communicate with their candidates and licensees. “Over the last year, we have seen a noticeable increase in the number of boards creating social media platforms to communicate to their publics,” said Cassandra Gray, NASBA Communications Manager. “We are working with a number of boards that are currently not using social media, but have asked specifically for NASBA’s help to implement a social media platform.” One of the Committee’s goals for this year is to recommend a formal social media strategy and provide guidance to the boards to aid in strategy implementation. During the 2011-2012 year, the Committee continued its efforts to assist state boards by hosting workshops and round table discussions at NASBA’s Regional and Annual Meetings. Early in the year, the Committee was specifically tasked by then-NASBA Chair Mark Harris to review and enhance NASBA’s meetings and conferences. As a result of this effort, the Committee enacted new enhancements at the Regional Meetings. In addition, the Committee published NASBA’s Meeting Enhancements paper which was shared at the Regional Meetings. 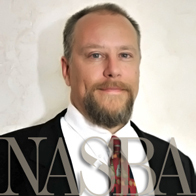 At the request of the Communications Committee, each state board is asked to identify an individual to serve as a State Board Communications Officer, with the role of communicating their state board’s activities with NASBA and various external publics, as well as to bring NASBA resources and tools back to their board. As a result of the numerous meetings, presentations and interactions between Communications Committee members, Communications Officers and NASBA staff, NASBA’s Communications Department is now offering complimentary newsletter and video services to boards of accountancy. “We understand that boards want to communicate and reach out to their constituents on a regular basis, and we are more than happy to assist in this effort—whether it is a newsletter, educational brochure or video,” said Kenny. During the March 2013 Executive Director’s Conference, the Communications Committee will deliver a detailed presentation on the process of assisting boards of accountancy with outreach documents. In the interim, if your board needs assistance with an outreach initiative, do not hesitate to contact communications@nasba.org.